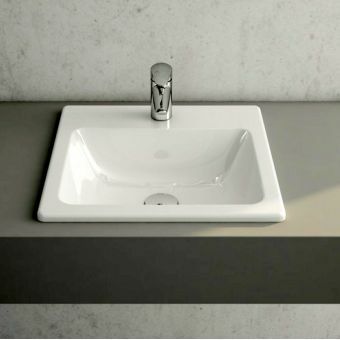 With soft lines and a modern aspect, the Roca Java Basin is designed to be used in conjunction with a work surface to provide a fresh and open wash area. 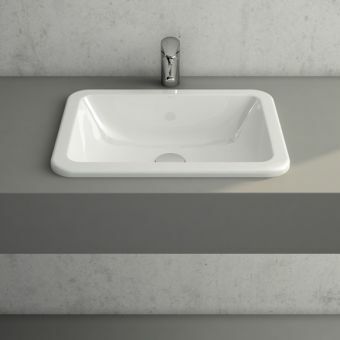 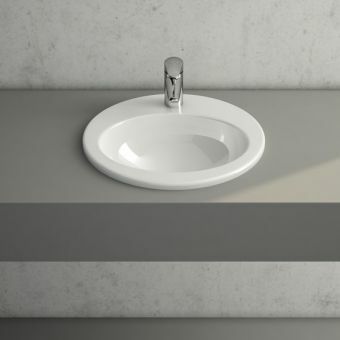 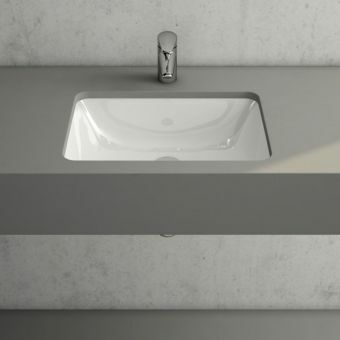 Sunk into the countertop or worksurface, this elegantly designed basin demonstrates the Roca ability to create simple, appealing pieces at an affordable price. 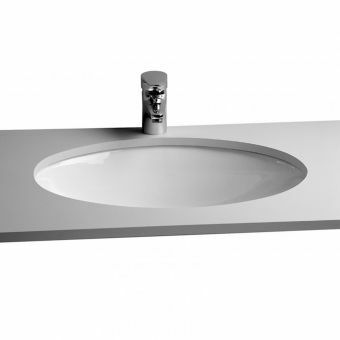 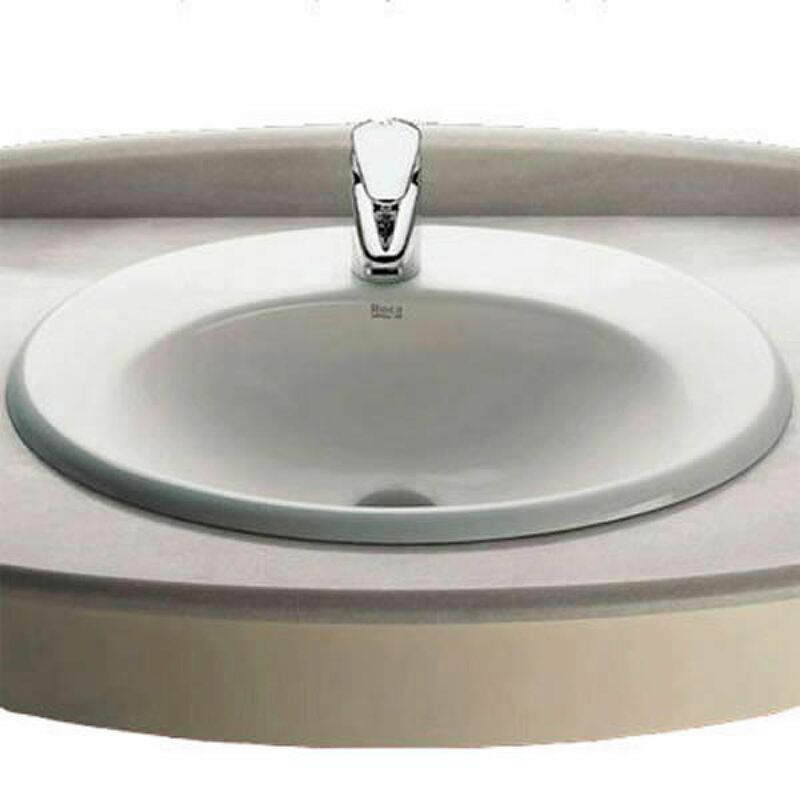 Supplied with either one or two pre cut tap holes, this basin can accommodate a range of brassware options. 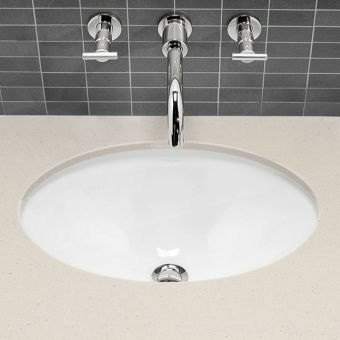 Please see our line of monobloc mixers and separate tap sets for matching pieces. 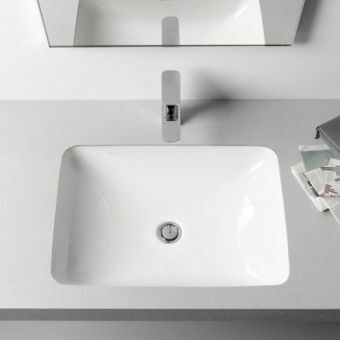 Finished with a white gloss look, this basin matches a range of work surface materials and compatible vanity units. 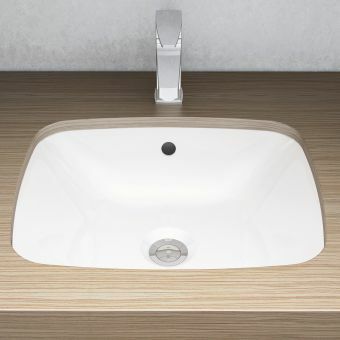 Please note that tap pictured is not included in price. Basin measures 560mm across by 475mm.